Best sunscreen 2018: the cult sunscreen four Mamamia parents swear by. 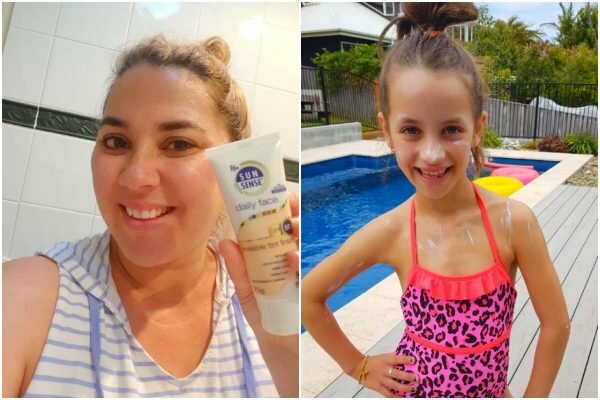 The cult sunscreen brand four Mamamia parents swear by. There’s nothing Aussies love more than their long, hot summers, when the days seem to go on forever and the biggest problem we may face is running out of chilled beverages… or sunscreen. Yes, sunscreen is simply a fact of life with our intense sun. The trouble is, most families have people of different ages, with different skin types – so a one-sunscreen-fits-all just doesn’t cut it. Which is why four Mamamia mums – Rikki, Lauren, Anna, and myself – jumped at the chance to trial SunSense’s 2018 sunscreen range. SunSense, made by Ego (the Aussie company responsible for the iconic QV range), has been around for 30 years. Their products provide the highest SPF protection available in Australia*. SunSense doesn’t test on animals. Their products are water and sweat resistant, too. Which is why it’s a cult brand. SunSense ticks every parent’s box – not only for the kids, but also for themselves. So naturally, us Mamamia mums were keen to get our SunSense products home to give them a go and see which ones stood out for us personally. Rikki and Summer. Source: supplied. Summertime is what we live for in my household. The sun, the surf and the early morning swims, nothing makes us happier than hitting the beach or pool (or any body of water!) and getting that summer look that says ‘I had a great weekend’. Since having my daughter Summer (seven) however, the old tanning habits and bare exposed skin routine has changed significantly. The old slip, slop, slap message has never been more prominent and ritualised. And when my hubby was diagnosed with a skin cancer earlier this year, this routine has been stepped up a notch for the summer ahead. 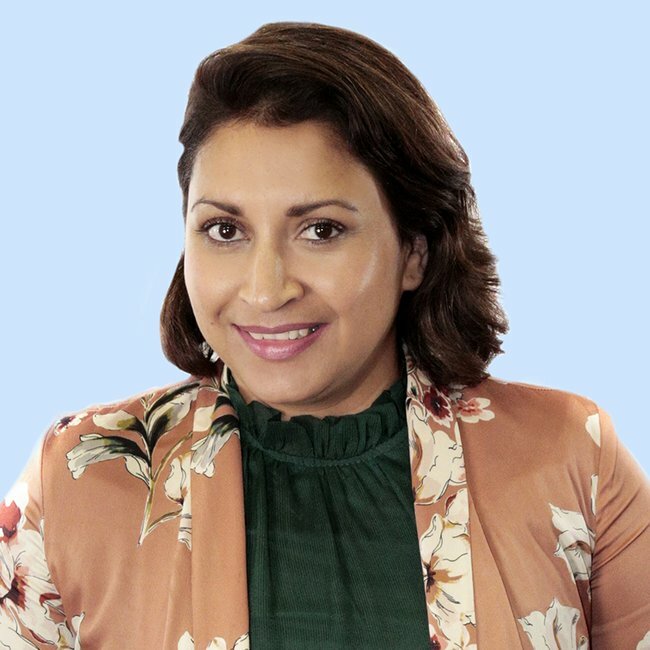 A huge lover and avid user of sunscreen now, I was already familiar with SunSense&apos;s four-hour water resistant Ultra Sunscreen SPF 50+ from those long mornings at Nippers carnivals. 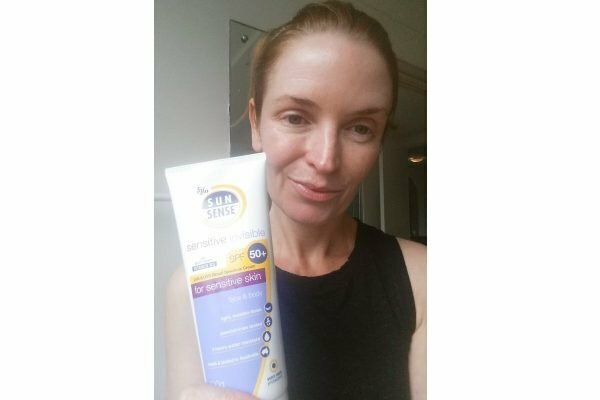 Summer is a long-time sufferer of eczema, so I instantly gravitated toward the SunSense Sensitive Invisible SPF 50+ as it’s dermatologically tested (like most SunSense products, as I found out later). The products Rikki&apos;s family trialled. Source: supplied. This little gem goes on super light and smooth and doesn’t have that oily, slick feel to it like a lot of other sunscreens do. With her sensitive skin, Summer has been able to slather it on herself and practice her coverage and art of re-applying. After my hubby had his skin cancer scare, I was Googling like crazy to find ways that we could protect our skin at times when we often wouldn’t even think about it, something the doctor insisted we become more aware of. SunSense&apos;s Daily Face SPF 50+ is exactly what I have been looking for. It not only has an invisible tint and lightweight, matte finish, but I can apply it nicely underneath my daily foundation and my face doesn’t feel oily or too heavy. It’s a beautiful moisturiser for under your makeup or just on its own and is SPF 50+. 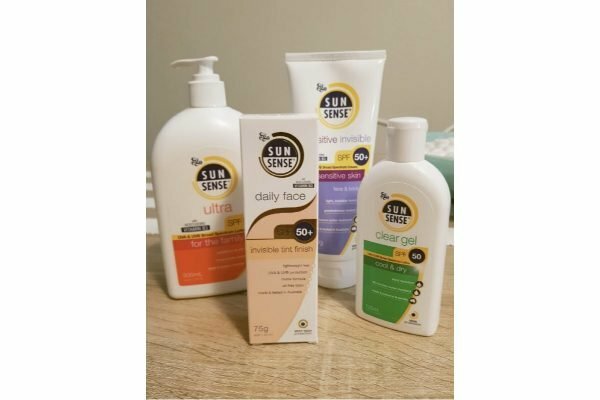 The SunSense products Lauren&apos;s family trialled. Source: supplied. Living by the beach, in our family, putting on sunscreen is like putting on your shoes - you don’t leave the house without it. Unless of course, there is a meltdown of nuclear proportions from the “four turning fourteen” year old and then…. well, we play it by ear. I tried two products from the SunSense range; the Anti-Ageing Face Matte SPF 50+, and the Junior SPF 50+. I fell in love with the Anti-Ageing Face Matte - it&apos;s now made its way into my daily beauty routine. My skin is quite oily so for daily use, I have always opted to wear makeup with SPF protection in it so that I’m not overloading my skin. The problem with this is that most of the protection in makeup doesn’t have as high an SPF rating as a purpose-built sunscreen. But this one is purpose-built and didn&apos;t make my skin feel oily at all. The matte finish means that my makeup easily went on over the top and didn’t create any extra shininess. 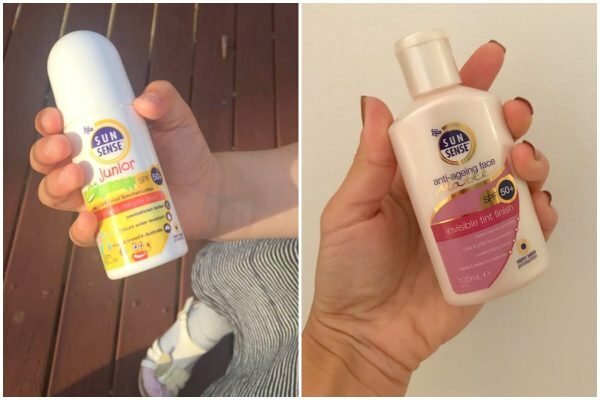 I also got my daughter to try out the SunSense Junior sunscreen. My kids are used to wearing sunscreen as it’s part of their daily routine but this doesn’t stop them from flapping their arms and legs like a pair of seagulls as I try to get the right amount on and rub it in. So it&apos;s much more successful if they apply it themselves - and that&apos;s what sold me about the SunSense Junior - it&apos;s size. When you originate from England and have a red-haired, blue-eyed child, you get very familiar with sunscreen and the amazing job it does in allowing us both to live safely in Australia. With summer around the corner, finding an affordable high street brand I don&apos;t completely hate and mind putting on my face before my make up, was on my radar; so I was happy to trial the SunSense Sensitive Invisible SPF 50+. Spoiler alert: this stuff is seriously amazing. My first thought was how light it felt on my face - it just absorbed straight in and felt soft and smooth and not at all greasy. I&apos;d happily wear it under my make up every day during summer. As there was no gross sun cream smell, you could easily forget you were wearing it. It&apos;s honestly hard to believe this is SPF 50+ given how light it was, for a chemist-bought product - so this will be a summer must-have for me. Anna trialling SunSense Invisible for Sensitive Skin. Source: supplied. 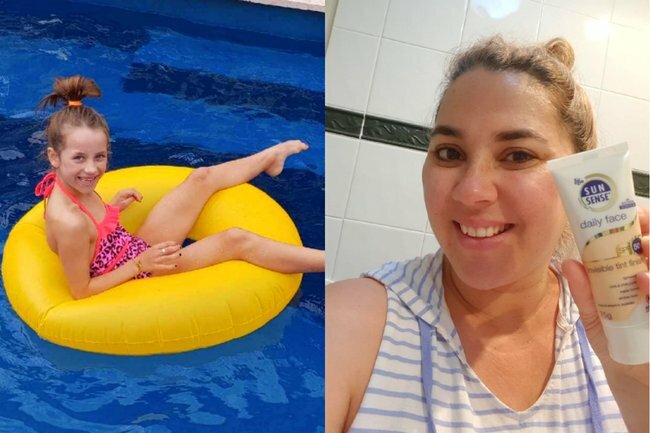 A sunscreen that doesn&apos;t make me look like Shane Warne with plain white zinc on my skin is the Holy Grail for me - and trialling the SunSense Daily Face gave me a genius idea. It&apos;s now officially the first sunscreen ever to melt into my face and not leave any &apos;ashy&apos; sunscreen residue. I first tried it on my hand, and couldn&apos;t believe how seamlessly my skin absorbed it. Naturally, this means that on fairer skin, it would work as an effective tinted moisturiser, giving a soft tint. But on my skin, it works some magic - and I can&apos;t tell you how happy this makes me to discover I can wear a sunscreen that is designed for my face and still wear my makeup on top - without the tone changing. In fact, that&apos;s what I do all week - wear the SunSense tinted sunscreen under my makeup. I was pleasantly surprised to find it was almost like a smoothing primer, and didn&apos;t feel slick under all the stuff I put on top. The tinted sunscreen worked like magic. Source: supplied. For my 11-year-old son, sunscreen has always been challenging for a different reason - he&apos;s usually allergic to certain ingredients. 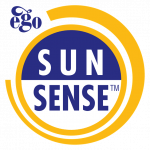 SunSense Junior roll-on is a product we&apos;ve been using for a few years, with no problems at all. A roll-on is great because, in my son&apos;s words, "I can control the portion, and only as much as I need comes out." Because, you know, it would be a disaster if too much sunscreen came out - he&apos;s such a typical kid! But now this little man of mine is a strapping tweenager, and he&apos;s ready to graduate to grown-up sunscreen. Before he heads out on his bike on a sunny Saturday, he grabs the &apos;adult&apos; roll-on - in the SunSense Ultra range - feeling like a real adult. I breathe a sigh of relief: ah, one more summer where he will willingly use sunscreen before he races outside for hours. Now, that&apos;s every parent&apos;s dream. This content was brought to you with thanks by our brand partner, SunSense. As part of our ongoing commitment to protect Aussies, we’ve partnered with the Melanoma Institute of Australia, to highlight the importance of sun protection in a country with one of the highest rates of Melanoma globally. As part of the Ego Pharmaceuticals family business, we bring expert products to Australians who want protection they can trust. Available in Pharmacy.